Don't judge me for being a shoe hoarder. I have over 60 pairs of shoes (I see those judging eyes). 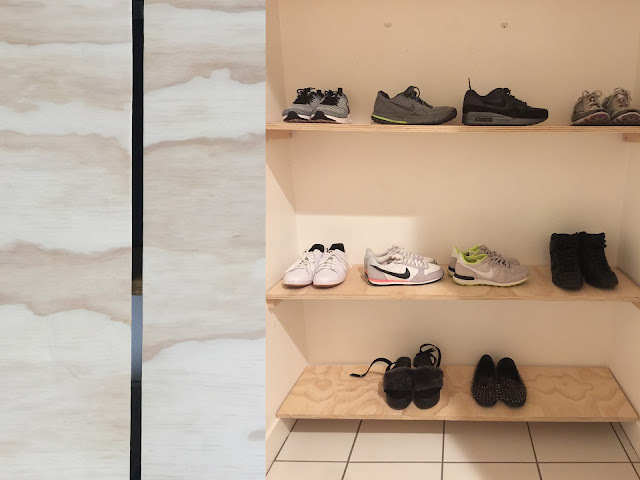 I've been moved in for a year and have procrastinated on installing a shoe shelf system in the foyer closet. Woke up Saturday, took out the hand saw, a sheet of leftover plywood, a 2" x 1" beam in my garage and got to work. I had leftover 7 layer AraucoPly from the desk project posted here. 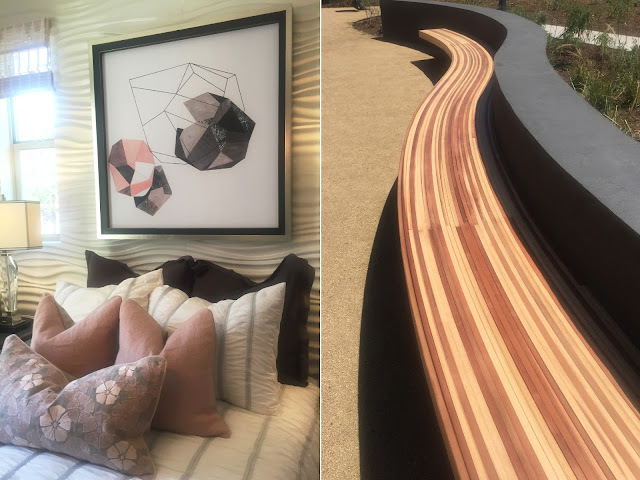 Love this plywood for its affordability and pretty grain. 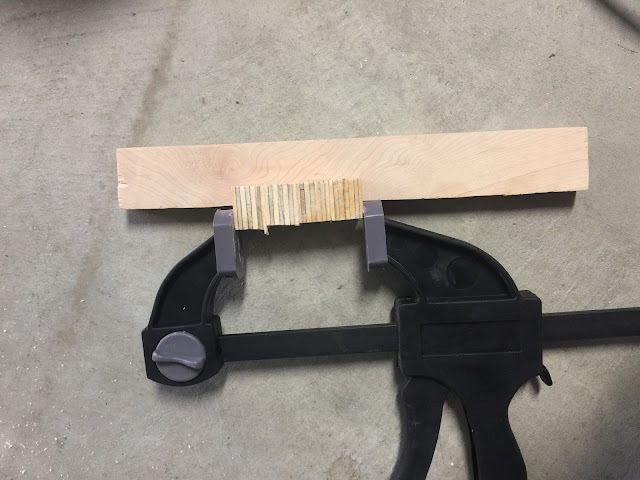 Cut 5 shelves 47.25" long x 12" wide, sanded all surfaces with 80 grit, then 240 for a smooth, splinter free finish. Left it raw with no stain. onto the left and right sides for shelf support using drywall anchors as needed. I wanted a heels rack but didn't want the traditional moulding look I've seen on Pinterest. Headed to Home Depot, looked thru a few isles and liked the look of tile edging which was clean and simple. 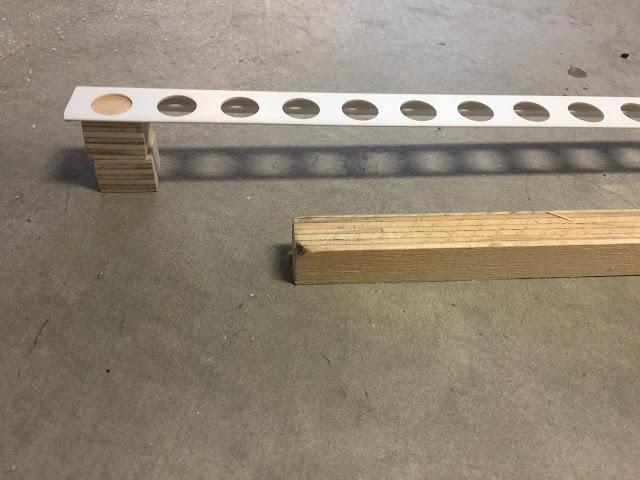 A long thin strip with circular holes. Picked up an 8 foot strip of PVC tile edging, $5.97. Cut it with a hand saw and mounted each strip right below each wood shelf for hanging heels. Used leftover wood boards to create the float mount by cutting them into 1" x 1" pieces (small enough to be hidden behind the PVC tile strip). 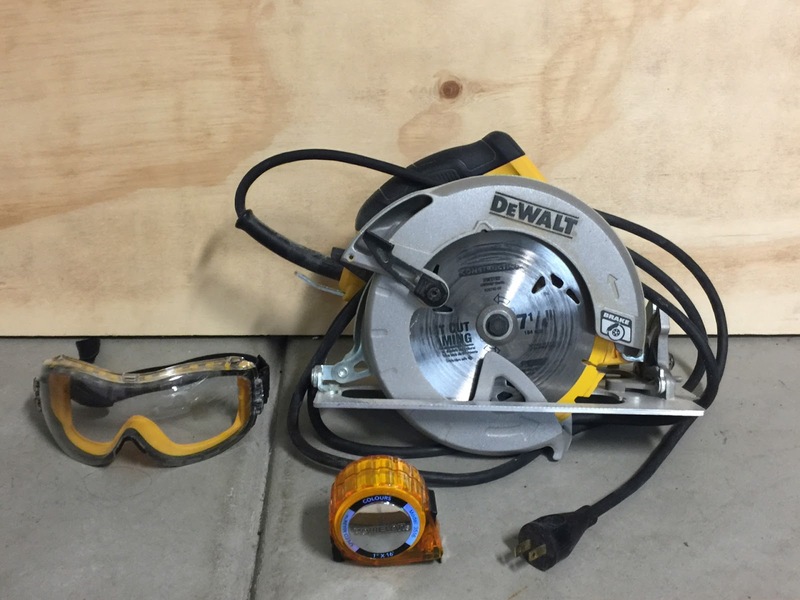 3 hidden float mounts per PVC tile strip (center, left and right). Float mounted the PVC strip about 1.5" away from the wall using washers and screws. Heels can be hung off the top edge or fit perfectly into each circular hole. This was actually the hardest part of the project, since the float mount was trial and error. Happy with the end result. Ordered the 3 pack Kuled motion sensor LED lights to mount right under each shelf. I originally tried the Almatess brand, but the quality was not so good (will review these lights in a different post). 1 Sheet of pre sanded plywood - AraucoPly for it's pretty grain, after all "it's not just a pretty face"
Tile edging (PVC or metal - Note PVC tends to bend easier), available here. I went on a cleaning spree over the weekend since I was sick at home. Here's a DIY easy solution for organizing necklaces. I have a jewelry stand that I can hang necklaces on but didn't want to see them all hanging out in the open (visual clutter) / collecting dust / tangled. I bought a deck of playing cards for $1. They have a cute geometric pattern on the back. Used a 1/8th inch paper hole punch. Punched 2 holes about 1" from the top and cut a straight slit from the edge of the card to the hole. 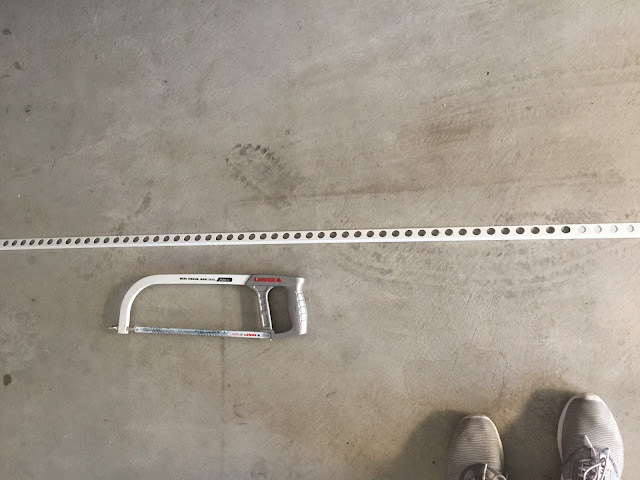 This is where you will slide the chain in. Put it all together and you get the completed organized look below. I put them in a glass apothecary jar from West Elm. Finally got around to putting up some art in the spare bathroom. I love using post cards in larger frames. They are inexpensive and easy to replace if you decide on a change of scenery. Picked up a handful of Murakami post cards at the Mori Art Museum during my trip to Tokyo, Japan in February. In 2003, Murakami was commissioned to design characters for Tokyo’s Roppongi Hills real-estate development. Known collectively as “The Creatures From Planet 66,” these smiling characters travel throughout the world on a mission to spread happiness and knowledge. Thought these two looked nice as a pair, $3 each. 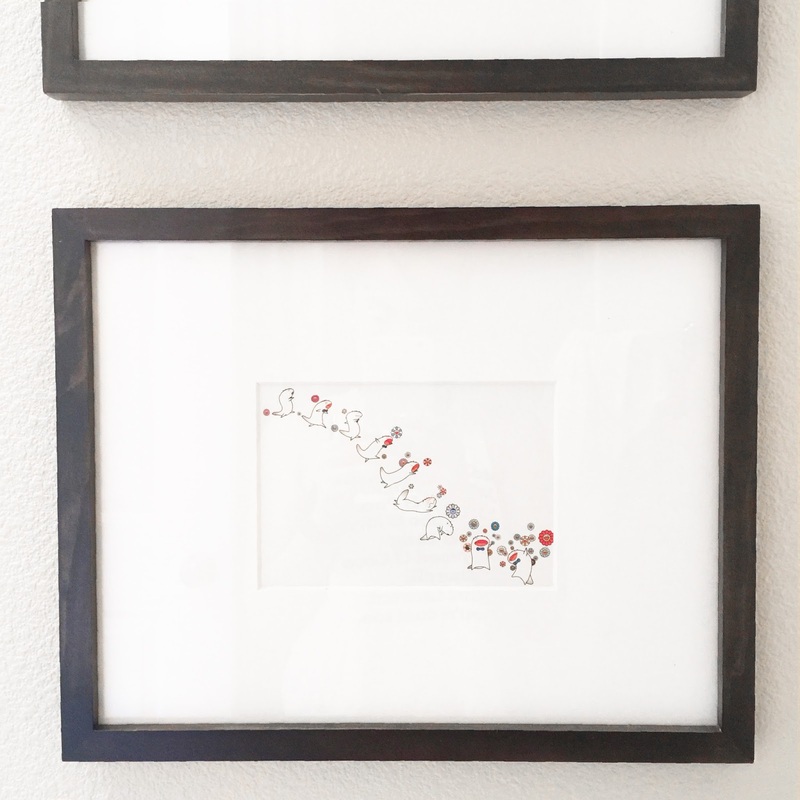 Dropped them into frames that I picked up on sale at Target, $4 each. 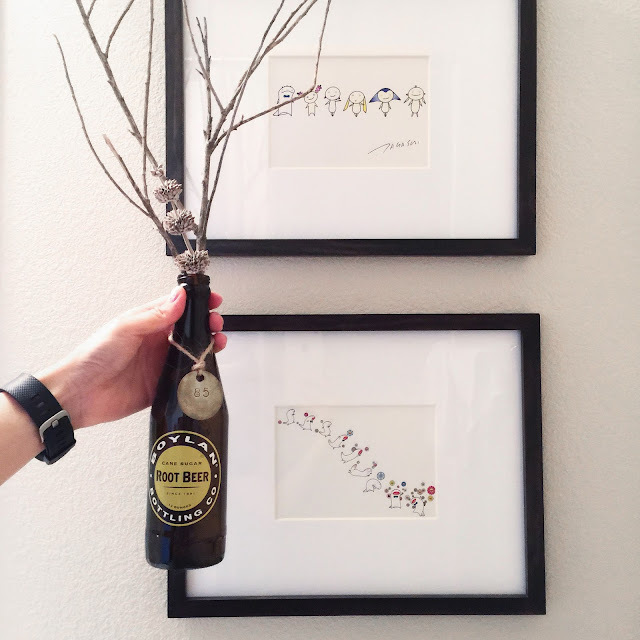 Up-cycled a soda bottle into a branch vase from that one time I drank soda, $free (ish). I saved two of these bottles simply because I liked the colors / font. Found vintage brass engraved number tags from a trip to the Long Beach Flea Market a few months prior, $2 each. I like to tie these metal tags onto twine and attach them to glass orbs, vases or bottles as an accessory. I fill my house with dead branches/flowers, (yes dead plants are great!) to add height / texture to a room. These sun-dried branches and grey toned flowers were picked on my weekly trail run at Hellman Park in Whittier, CA. The best thing about dead plants is that they require no watering or maintenance. Last but not least, the most important of all bathroom necessities...accessible toilet paper! My prior bathroom post on instagram (here) uses toilet paper as a wall display. It's okay to have the TP lying around, that way you and your guests don't have to go digging around if you forget to refill. Placed some extra TP in this geometric wire fruit basket I bought for $4 in Kyoto, Japan at Flying Tiger Copenhagen (I really wish the would open a store in California). Total cost for all decor shown, $20. Custom designer bathroom decor using up-cycled materials and post cards. My new year's resolution was to consistently eat clean Monday thru Friday. For me this meant a high protein, low carb / sugar / salt diet. I'll have occasional cheat days since I don't want to hate my life and everyone in it (such a sucker for donuts, cookies and ice cream). I've never been a fan of long prep times or intensive cooking. Would rather sand wood for an hour than be in the kitchen. Found this flour and sugar free muffin recipe on Ambitious Kitchen and modded it a bit to fit my personal preferences. Calculated the Macros using the Fat Secret App. Macros for these mini muffins are (roughly) 3g fat, 6g carbs, 4g protein, 63 calories per muffin. Double the macros for regular sized muffins. Line or oil pan, Bake 15 minutes @ 450 degrees. Topped with organic honey, organic peanut butter and organic bananas. I want to eat these everyday! I have a sliding door that I wanted completely covered, ceiling to floor, wall to wall (almost). 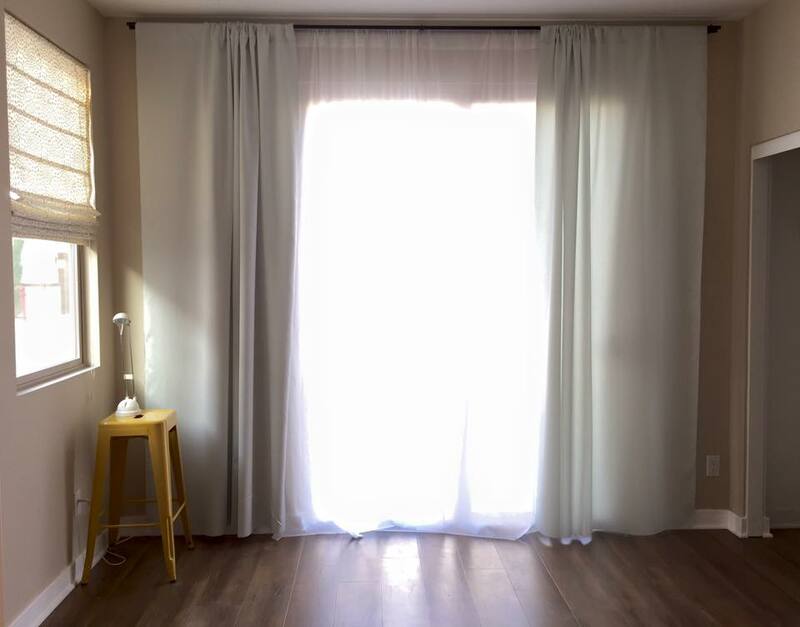 I needed a 10 ft curtain rod and preferred a double rod. With this easy little hardware hack, you can make an entire hardware set (less finials) for less than $15! 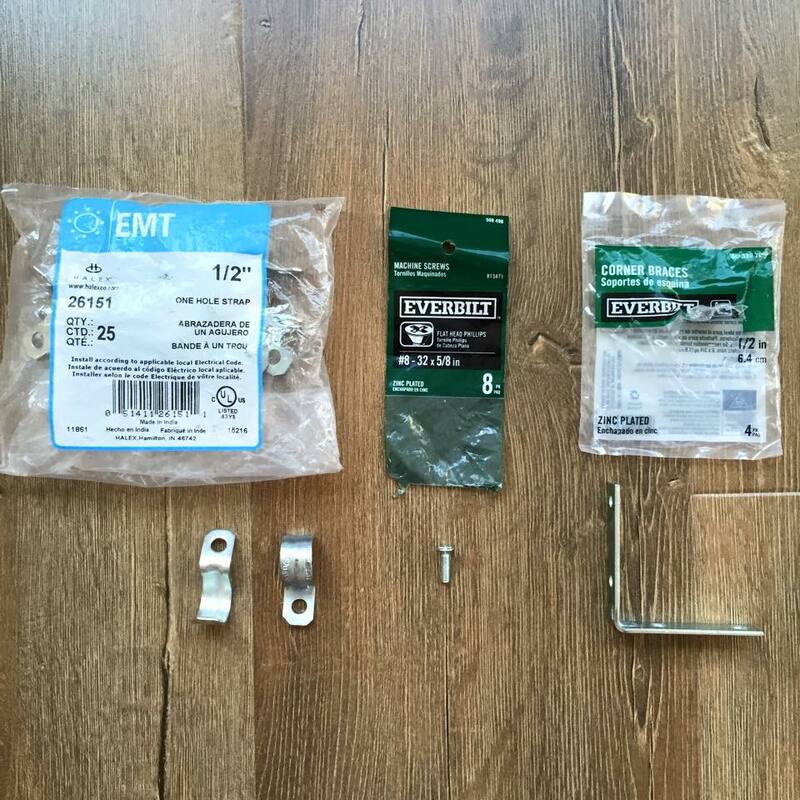 For a double rod system, attach 2 EMT conduit straps to each corner brace using the screws and nuts. Attached Corner brace to wall using screws / dry wall anchors if needed. You will need 3 corner braces for a 10 ft rod, two side supports and one middle support. 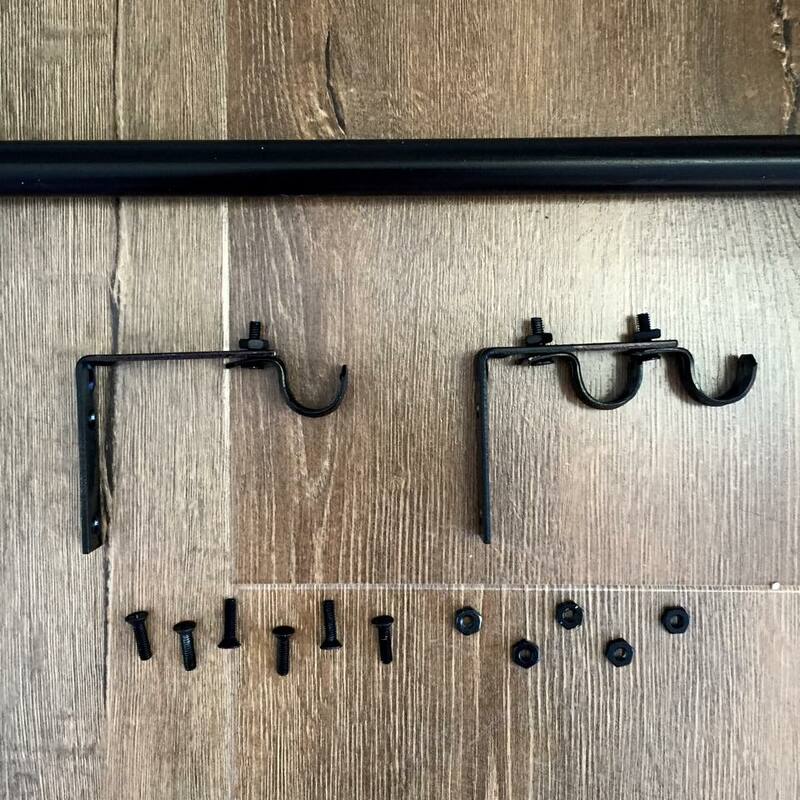 See photos below for finished parts for single or double rod options. As Lowe's says, "never stop improving". Escrow closes today on a newly built townhouse I purchased. Of course with model homes, what you see is definitely not what you get at the list price. Let's take a 1,400 sq ft newly built tract home. 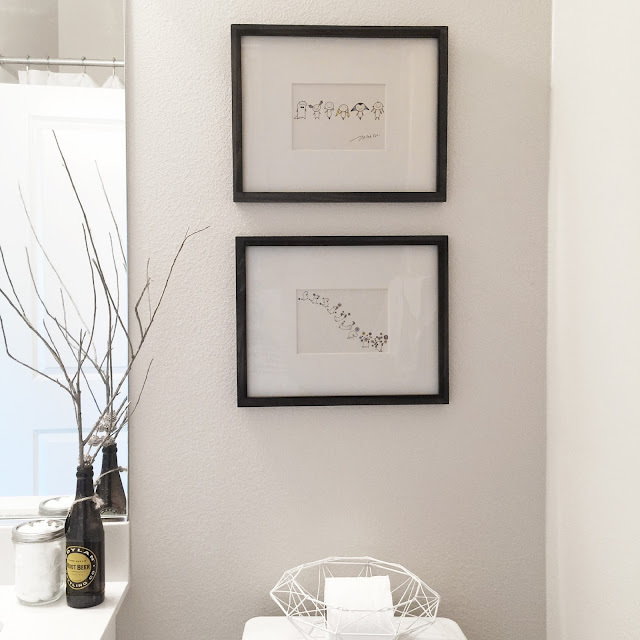 The model homes are always decked out with customized bathroom wallpaper, dimensional wall paneling, upgraded kitchen granite, cupboards and flooring. What they don't tell you is that custom upgraded laminate floors with the builder and their design team can add on at least another $12,000-$15,000, upgraded granite counter tops are another $5,000+ and a few hundred square feet of 12"x24" porcelain tile for your bathrooms can add on another $6,000. Your model home upgrades can run you an additional $20,000+ on top of list price. The plan below is to work with the beige walls, the square 90's tile floors and try to make something modern with a few days of DIY. I love using Adobe Photoshop to figure out what I can achieve. See the BEFORE photo, master plan below and check my instagram for AFTER photos to come! See the before photo here. Remove spindle traditional island legs. Paint legs and inside window frame dark grey. Install instant convertible pendant lights above kitchen island. Turn your recessed lighting into ceiling pendants. No wiring needed! Available here. Find your own contractors that specialize in flooring only. Compare across 3 estimates. Laminate wood materials and labor should run about $6,000 for 1,800 sq ft. (heck of a deal vs $15,000). Remove 6" granite backsplash and range backsplash. Install white mosaic or Smart tile peel and stick option. Smart tile adhesive backsplash available here. Tutorials on granite removal here. 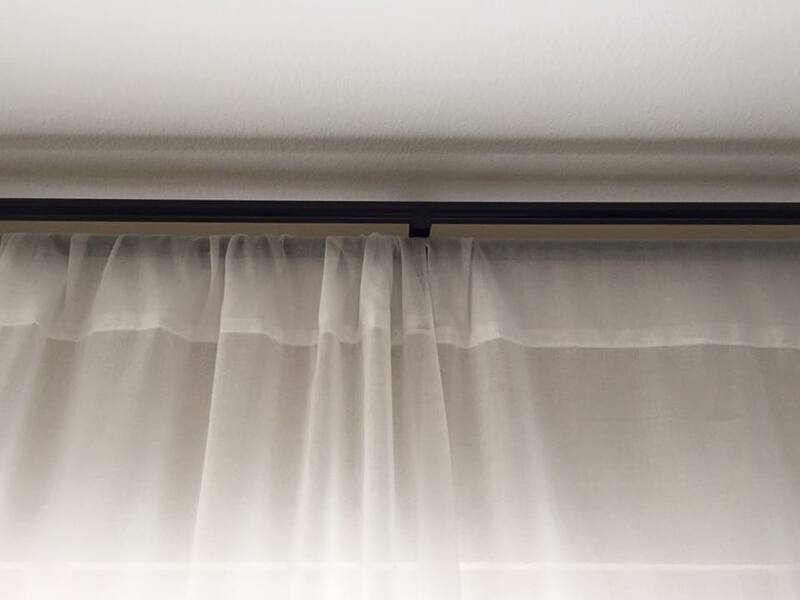 DIY roman shades from $5 mini blinds. Tutorials here and all over the internet. Add some color! Lemons, yellow metal bar stools and vintage pepsi crates on Etsy. 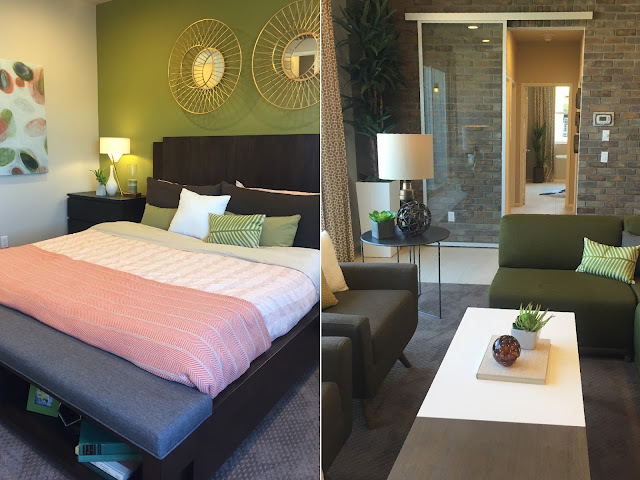 Last month I visited the sold out community, Pavilion Park in Irvine, CA (Pictured above). I was pleasantly shocked to find the community amenities included a greenhouse with huge ficus lyrata trees, communal herbs for its residents and "free air" pump stations. The outdoor seating area is designed with recycled materials including bike tires, reclaimed wood and aged metal. 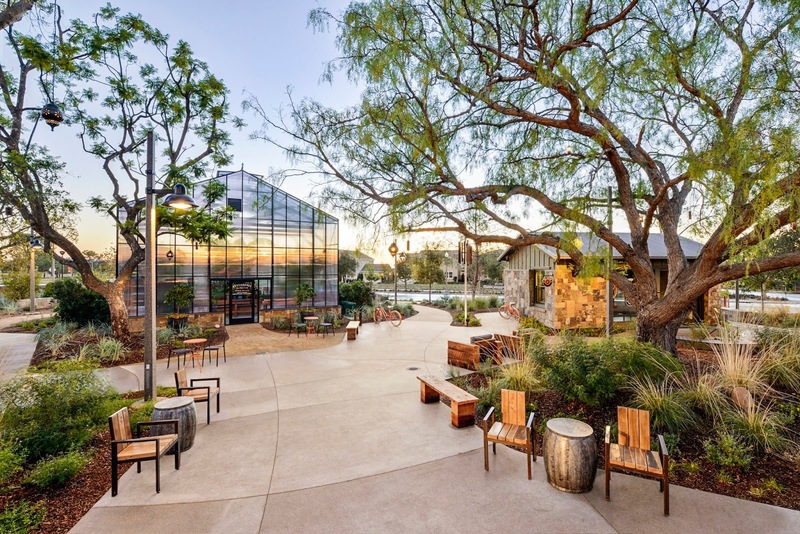 The outdoor area was reminiscent of 6th grade camp but made for adults with industrial modern taste. The visitor center included a touch screen map developed by interactive designer Sara Geissen. You can tell that there is a bit of a disconnect between the hip, unique, community area designed by SB Architects versus the homes themselves which seemed much more traditional looking on the exterior. Having been quite impressed with Pavilion Park, I visited the grand opening of Beacon Park, the 960 unit new neighboring community which opened on August 15, 2015. Beacon Park is extremely well planned out. 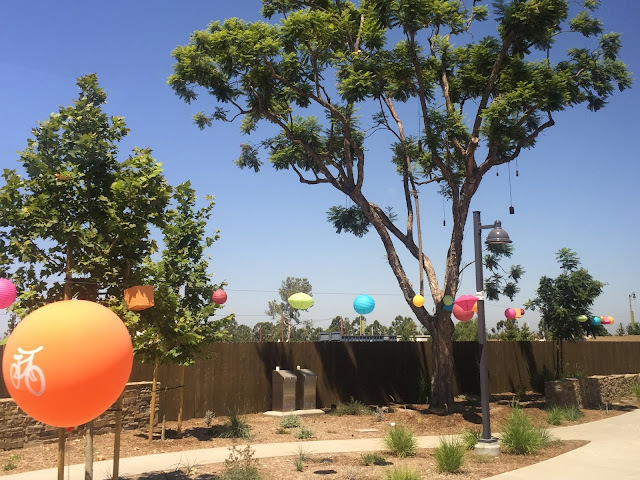 On grand opening day, shuttle buses were arranged to take visitors from the parking lot to the community where you were greeted by informational pamphlets, beach ball souvenirs, bottled mini waters and one-time-use sunscreen packets. Seriously, how thoughtful, I didn't bring any of those things! I felt like I had just entered an amusement park, except my eagerness to ride roller coasters was replaced by an attempt to visit all 15 home collections by 10 builders (K. Hovnanian Homes, Lennar, Pulte Homes, Richmond American Homes, Ryland Homes, Shea Homes, and Taylor Morrison, Standard Pacific and DR Horton). 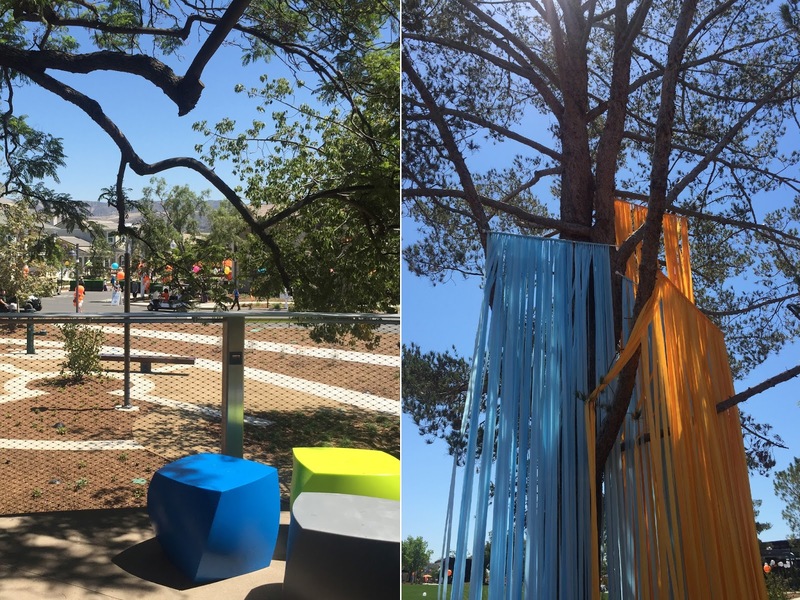 In terms of amenities, the community pool is large enough for an athlete to swim laps, the platform treehouse is like nothing I've seen before, and there is plenty of inviting seating areas complete with an outdoor pizza oven. Conclusion: as an adult, home shopping is just as tiring and exciting as spending an entire day riding carnival rides. I snapped some quick photos below of the interiors that you can also check out on my Instagram, Tumblr, Twitter accounts. 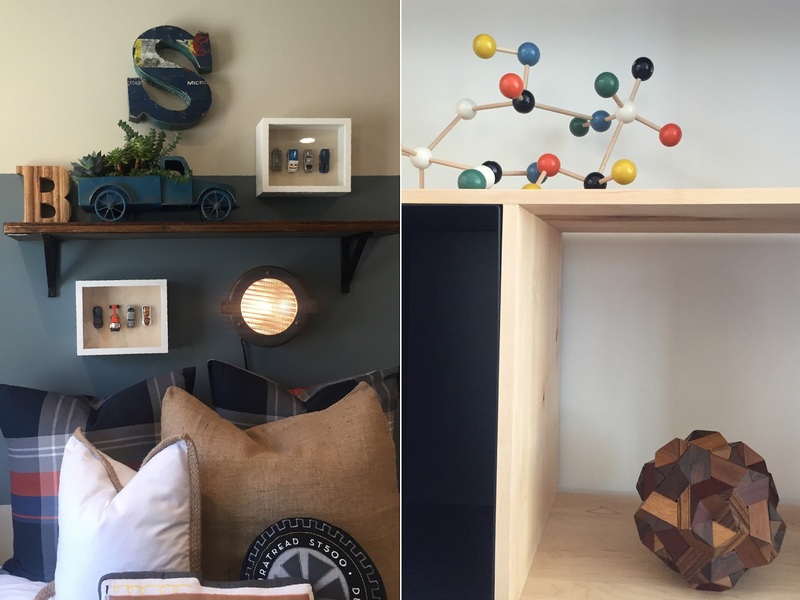 I would definitely recommend home decor enthusiasts to pay a visit for inspiration or if you just wanted to spend an entire day looking at homes from the top community builders in the U.S.